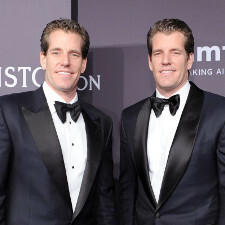 Gemini is a cryptocurrency exchange based in New York established by the Winklevoss twins in 2015. Similar to its largest competitor; Coinbase, it offers a fiat to BTC and ETH market except it places a bigger focus on institutional accounts. The Chicago Board Options Exchange and the CME Group both use Gemini’s USD/BTC to set their futures markets. Gemini is perhaps most known for its low trading fees for institutional traders and free transfer fees. The exchange is open to the US, Canada, UK, Hong Kong, Singapore and South Korea. However 3 states within the US are not currently operational – Alaska, Arizona, and Wisconsin. Registering an account at Gemini is simple. You will need to enter your full name and email address. If you are an institutional client, you will need to register your company, location, and legal first and last name. After registering, you will need to confirm your email by entering an activation code. After successfully confirming your email, you will be able to log in and get started setting up the rest of your account. Gemini requires your location, phone number, and bank account as part of their Know Your Customer (KYC) standards. You will need to know your online banking login credentials and social security number. The last step will be to upload a valid form of identification (Passport or Driver’s License). After submitting all the proper documents, Gemini will review and verify your identity. This verification process takes anywhere from several days to a few weeks depending on their application volume. Gemini separates buying and selling cryptocurrencies into two different tab. The “buy tab” has three pair options: BTC/USD, ETH/USD and ETH/BTC. The “sell tab” has the same three currency pairs. Gemini uses a unique user-interface compared to most cryptocurrency exchanges. Contrary to other exchanges, which show traditional charts, Gemini does not have a graphing application. Instead of using a horizontal order book, Gemini puts the sell-side order book on top of the buy side and users have the options to switch between seeing the order book in walls or as a table. Gemini offers auctions every 4PM Eastern time, including weekends and holidays. The auction matches the aggregate buy and sell demands from all participating orders and determine the price, or “cross-price”, at which the largest quantity can be filled. Auction participants input a maximum buy price that they are willing to pay for Bitcoin or a minimum sell price they are willing to sell it at. At 4PM EST, the auction market determines the cross price by examining everyone’s orders and a trade is then executed. The benefits of an auction is that it gives investors a “better” price discovery. It takes the average of a whole 24 hours of trading and comes up with a fair price. The trades from an auction are instantly settled – unlike making a buy or sell order that may or may not be filled. Transfer Fees are completely free at Gemini. There are no fees when sending or receiving Bitcoin, Ethereum, bank wire transfers, or ACH transfers. If you choose wire transfer however, your bank may charge a fee. Trading fees are on a maker-taker schedule. In every trade, there is a maker and a taker. The maker is someone who creates a limit buy or sell order. They are placing, or adding an order to the order book. A taker is someone who buys or sells at the market price. They are taking, or accepting, someone else’s limit order; they are removing an order from the order book. Gemini’s trading fees start at .25% for makers, takers, and auction trades. This rate can be reduced depending on your 30 day trading volume. The lowest available rates are 0% for makers and .10% for takers however you must have a 30-Day trading volume of 5000+ BTC or 100,000+ ETH. Below is the chart for Gemini’s fees breakdown. Bps stands for basis points (1 basis point = .01%). Gemini has state of the art security for both their hot and cold wallets. Their hot wallets, or online wallet, is hosted on Amazon Web Services and administrative access into their production environment (live exchange) requires multi-factor authorization. The hot wallet key management is rooted in hardware security modules serviced by CloudHSM provided by Amazon. Cloud HSM’s hardware has been evaluated according to federal information processing standard publication 140-2 with a rating of Level 2. Their cold wallet storage system (offline wallet) breaks down into two tiers, ‘cold’ and ‘cryo’. Both use HSMs with a FIPS PUB 140-2 rating of Level 3 or higher. All cold and cryo private keys are generated, stored and managed onboard HSMs for life. All HSM are stored, guarded, and monitored in different geographic locations. The hardware is sourced from different manufactures to lower supply chain risks. All fund transfers require coordinated actions of multiple employees. Gemini has all of the ingredients to be a world-class cryptocurrency exchange. 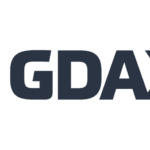 Although Coinbase/GDAX are arguably more popular among US customers, Gemini has the backing of the Winklevoss twins and financial institutions such as CBOE Global Markets And CME Group. It is regulated in New York and it has free transfers (and sometimes trading) fees. It prioritizes security with two tiers of cold storage. Gemini has a unique feature that most exchanges do not have; an auction market. It also has a unique UI in the market for those who favor order books over graphs. Because the exchange is in compliance with the United States of America’s Anti Money Laundering and Know Your Customer standards, they are operating “above the boards” and doing everything legally. So, overall, Gemini is a trusted fiat to cryptocurrency exchange that is geared towards institutional investors.